Lectures and talks will be held at Pietermaritzburg’s Tatham Art Gallery on selected Saturdays at 11h00. This year Dr Alleyn Diesel, retired academic, will again present a number of talks on the first Saturday of each month. Her presentations, at R30 per session, are in aid of the Tatham Shop, with a view of funding the purchase of stock from local crafters. March 3 at 11h00: What is Paganism? Dr Michael O'Connor, retired from the medical profession, is, among other interests, a stamp collector and member of the Maritzburg Philatelic Society, which is on exhibition at the Gallery. He has done extensive research about the history of Pietermaritzburg. March 10 at 11h30: The history of Pietermaritzburg Churches. Marcus Kruger is a master craftsman who is recognised for his designs in the use of cabinetry techniques. 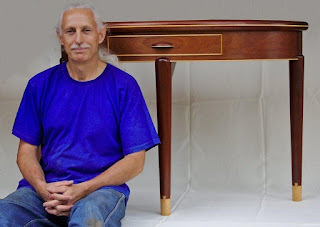 He is both an exhibiter and judge at woodworking shows in South Africa, and presents training sessions in cabinetry techniques, design, finishing and the use of power tools. He is passionate about keeping wood artistry alive and educating the South African buyer on the value of wood as an art medium. He is the co-founder of and resident artist at Arusha Designs Art Gallery, located in Hilton, which specialises in wood as the art medium. The Tatham Art Gallery is situated opposite the City Hall in Chief Albert Luthuli Street, Pietermaritzburg.